trouble-shooting is that sometimes trouble shoots back. 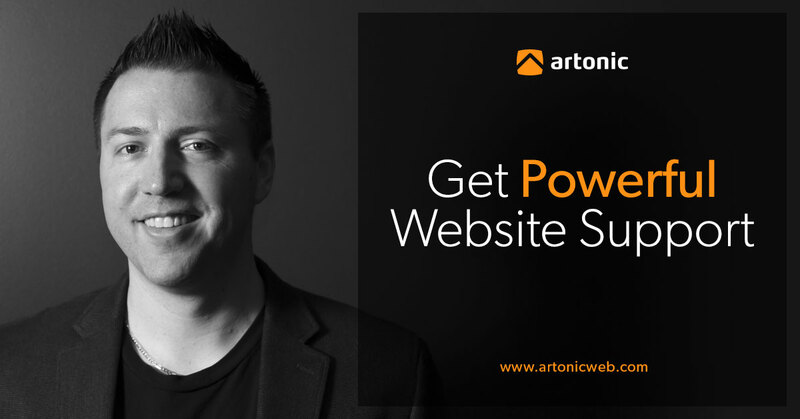 Artonic offers everything you require to manage the technical aspects of your website, so that your experience is worry free. Whether it's tweaking your site's experience, or adding tracking code, we've got you covered! Consultation support is a big part of our support package. Ask questions, receive expert advice from a professional on our team. We're here to listen, educate, and guide your digital business decisions. Support Package clients receive special prices on support services offered by Artonic, as well as priority response time. That means when you request an edit, update, or ask a question, your needs are given top priority. Let's find out what your top needs are and how we can help you thrive. Curious about what our Support Package entails? Wondering about a few specific items that relate just to your company? Give us a call or fill out the form on the right, and we'll get back to you shortly.